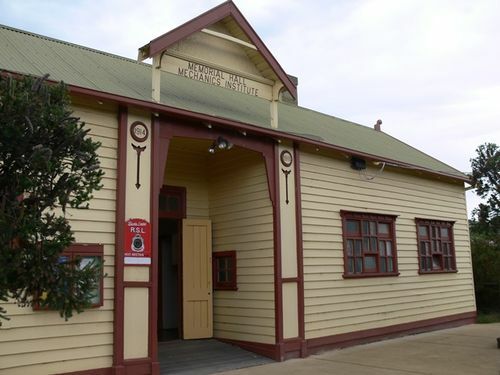 The Mechanics Institute was renamed the Tarwin Memorial Hall in memory of those from the district who served in World War One. The Tarwin Lower Mechanics' Institute Library and Hall was built in 1890 at a cost of £235, and was opened on 7 March of that year by F.C. Mason MLA. The cost of the land was £6/12/6 and the first trustees were Alfred Brown, Thomas Lees and Robert Fisher. The hall was the first public building erected in the township and was also used as a school and church. It is now believed to be the oldest extant building, public or otherwise, in Tarwin Lower.